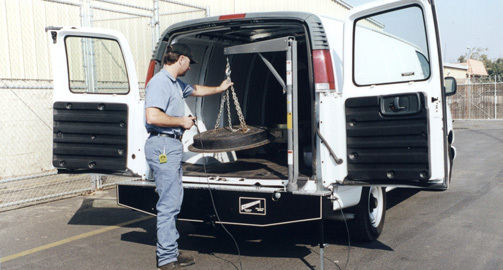 Need a way to load heavy, bulky loads into the rear cargo area of your van? The Western Mule V-Series Bumper Crane is your answer. 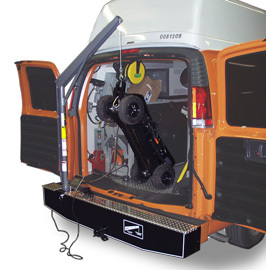 You will have a quick and convenient means to move loads into and out of your van without the loss of any cargo space or rear door access.